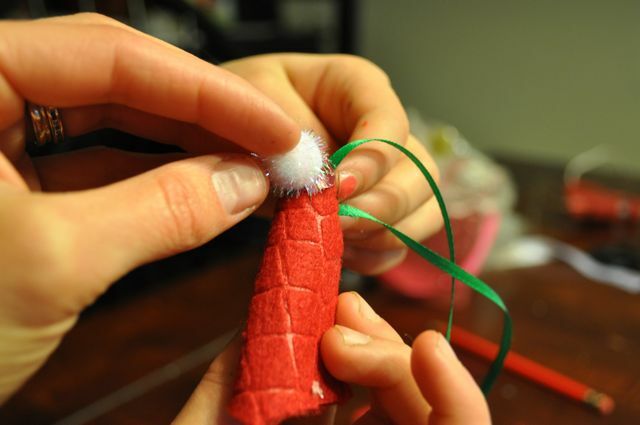 It’s cute, a reminder, and such fun alliteration to say, “a Christ-Centered Christmas Craft,” no? I hope my girls will hang it somewhere where they can see it every day, all year. In my opinion: The most important key of our whole life. This entry was posted in Christmas, Craft on December 17, 2017 by maisymak. 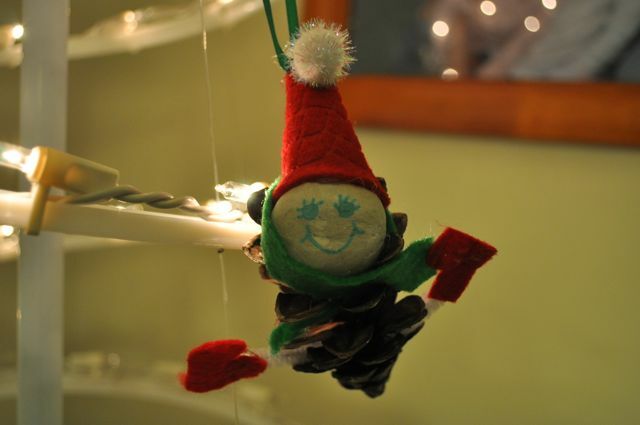 What to Do With All Those Christmas Tree Pine Needles: Drawer Pillows! Don’t call my crafty or anything, but this is heaven in a fairy pillow. “Smell this, Mommy!” she said excitedly. Oh, it truly was heaven in a fairy pillow! So she demonstrated how one beats a tree with a broom making cavewoman-like noises, and ta-da! all the dry pine needles fall off onto the floor. First, let’s pay homage to that beautiful christmas tree that was once cut fresh, sold on a lot, wrangled into the house, planted in a pot of water, dressed, tangled with lights, attacked by small children and pets, and glowed bright all month long. As the weeks wore on and the pellet stove blew dry, hot air, hundreds and hundreds of pine needles fell. By January 1, I am more than ready to say good-bye. The tree has done its duty. It’s time to have that big ol’ bonfire in the backyard! But hark! Grandma has a story, an old tradition. Oh yes, we had to do this. So we took off the ornaments and packed them away. The lights were untangled, tangled back up, and stuffed into a bin. And then the beating of the tree began. What great, messy fun this was for a kid! Seeing my husband’s face? Quite priceless. “What the heck are you doing?” he asked, as pine needles flew threw the air. To his credit, he turned around and walked back into the kitchen. The beating unleashed a fragrant christmas tree smell that wafted throughout the house – it smelled so good! After our tree was truly Charlie Brown-worthy, I threw it out the front door with nary a trail left behind. The girls then took all the pine needles and rubbed them together between their hands so nothing was left on the sticks. We ironed a bit (optional) and cut squares, turning the fabric inside out. Sew 3 and 3/4 quarters around the square on the sewing machine, then turn the fabric right side out. 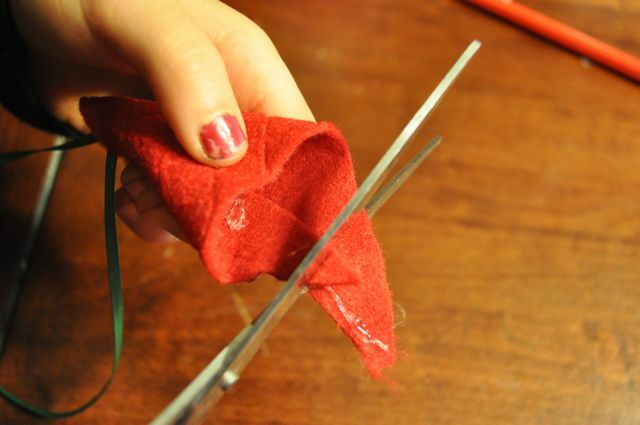 Load pine needles into the pillow, and sew up small hole by hand. A grandmother-mother-daughter-christmas tradition lives on. Meaningful and easy = my kind of craft. 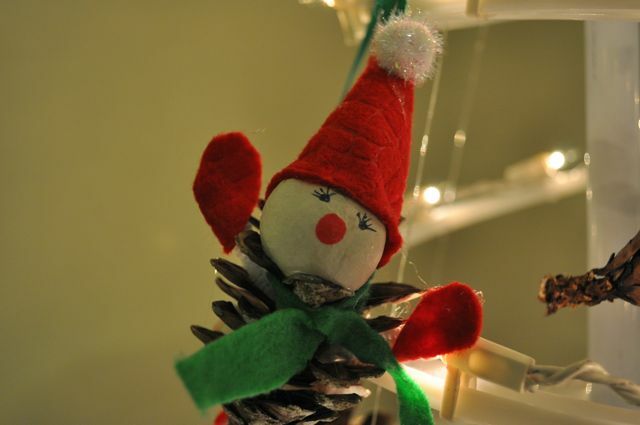 This entry was posted in Christmas, Craft on January 2, 2015 by maisymak. This is just the sort of thing I look at and say, seriously? The PAAS kit is $1.52. I know. But occasionally we like to try being Martha. The best thing about this experiment, was playing chemist with the kids. Here are the eggs our hens so lovingly layed. We used the brown, too. This was the only thing I purchased specifically for eggs. The rest was in the fridge or cupboard. Dill and Tumeric working magic. I kind of felt like a witch above her cauldron. Bowls should be deep enough for eggs to sink to bottom and be completely covered. Add Ingredients to pots and pour boiling water on top. Let sit awhile (1/2 hour?) 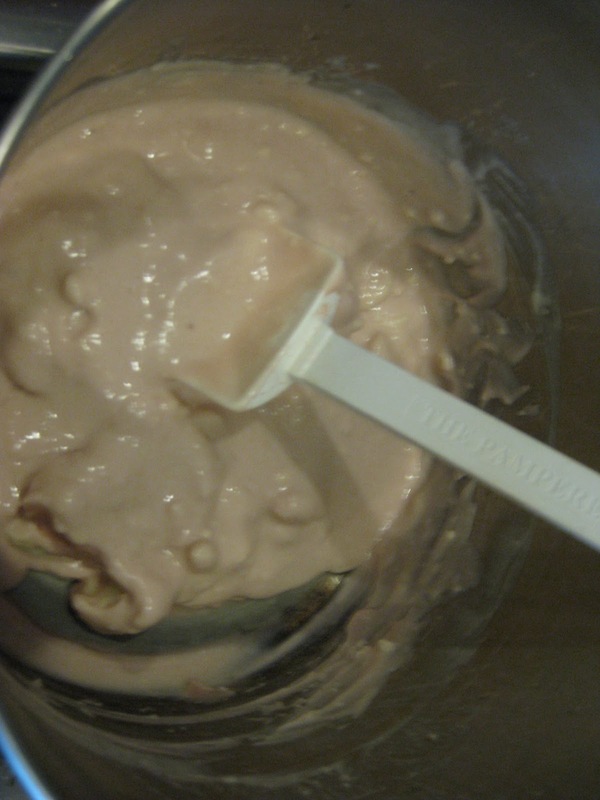 so the color from the ingredients can seep out. It won’t work if you don’t do this! Also, don’t add raw eggs until water is cool. They will crack. For Azure Blue: Boil 1/2 head of red cabbage on stovetop for about 1/2 hour. Spoon out cabbage and eat. Or not. Let cool. Add 2 tbsp white vinegar, 2 tbsp salt. Add eggies! Perhaps a beautiful orange color? Boil 3 cups water, 1/2 a bag of carrots, 1 orange peel, and 4 skins of yellow onion. Let cool. Add 2 tbsp white vinegar, 2 tbsp salt, and eggs. And this would be the dinosaur eggs. Dill was supposed to turn it green. Oh well. 3 Cups Boiling water, 3 tbsp dill seed. Add 2 tbsp white vinegar, 2 tbsp salt, and eggs. Lemon yellow: 3 cups boiling water, 3 tbsp tumeric. Add 2 tbsp white vinegar, 2 tbsp salt, and eggs. It really…smells. Clove Brown: 3 Cups Boiling water, 3 tbsp Cloves. Add 2 tbsp white vinegar, 2 tbsp salt, and eggs. This had a particularly potent odor. I was hoping for red, but beet juice gives a light brownish…so we basically dyed our white eggs to match the brown eggs. 3 cups Boiling Water, Canned Beet Juice, Skins from 3 Red Onions. Add 2 tbsp white vinegar, 2 tbsp salt, and eggs. Cranberry juice and Paprika probably would have worked better. And there you have it, your very own colorful palate of naturally dyed eggs. In addition, you’ll get a perplexed husband, a wonderfully(?) aromatic home, and kids playing chemist. If this freaks you out, go buy the kit. We have so many eggs, we’re trying that route tomorrow, but I do like how there is no downside to actually eating or touching these natural dyes. Looking for more? Try some Easter Egg bread. Delicious and beautiful for Palm Sunday or the Easter meal. Also, a very Happy Passover to my Jewish friends! 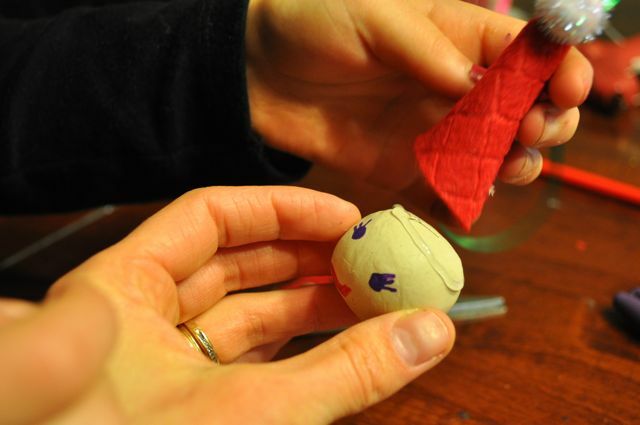 This entry was posted in Craft, Easter on April 11, 2014 by maisymak. Yippee – we can still run outside! There hasn’t been much cleaning or cooking around here this week. 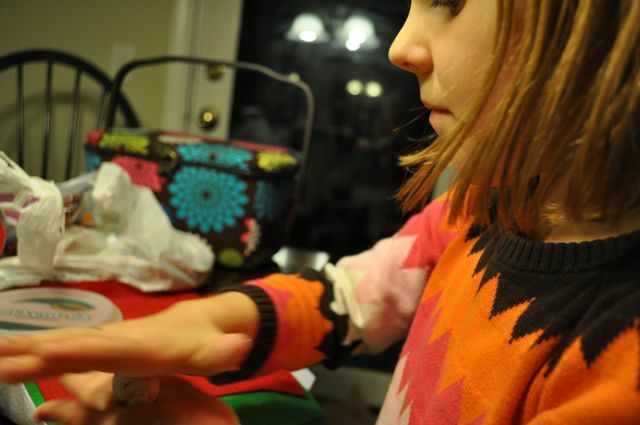 Brynne has got me elf-crafting. Gasp. I know. 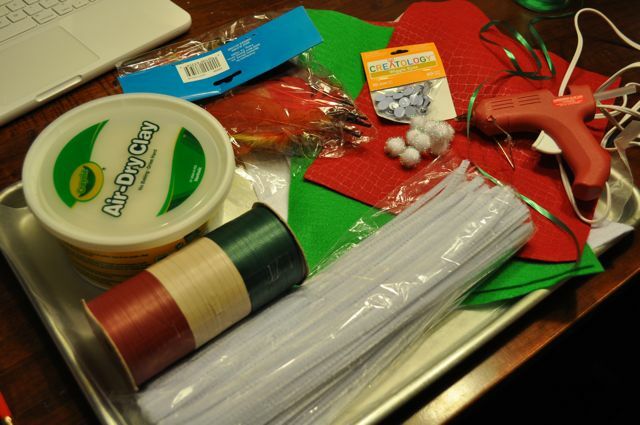 Imagine crafty Brynne’s delight when she discovered a bag with all the supplies needed for such a project. We wanted to share the joy. 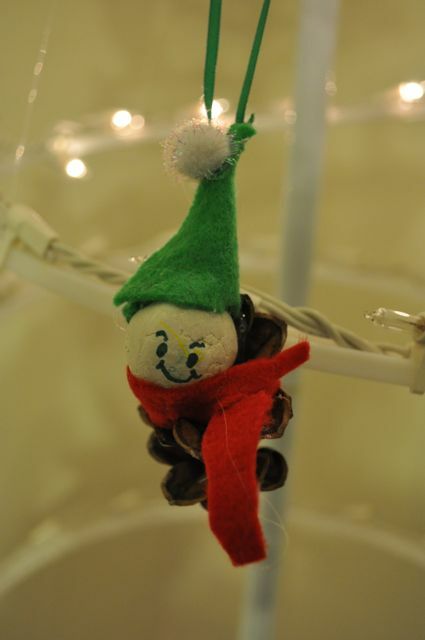 Brynne rolled and rolled and let the elf heads dry overnight. It’s so hard to wait! 3. 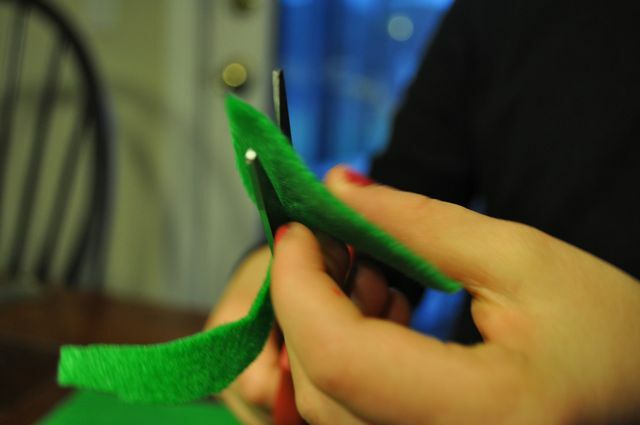 Cut a wide-based triangle out of felt. 4. 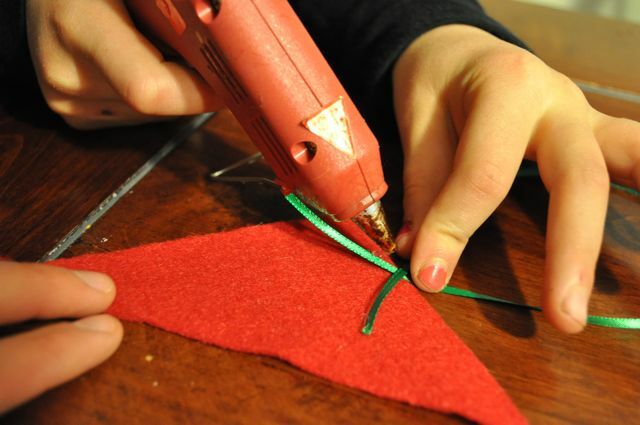 Glue-gun a string on, and continue gluing down the felt for a long line of hot glue. 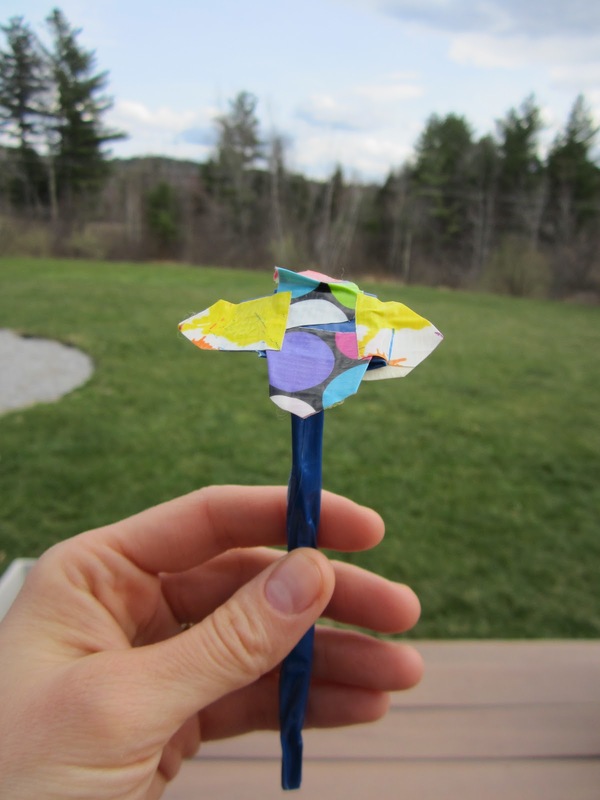 Quickly fold the triangle into a little hat. This was hard for us, but we persevered 🙂 Caution – it’s hot! 7. 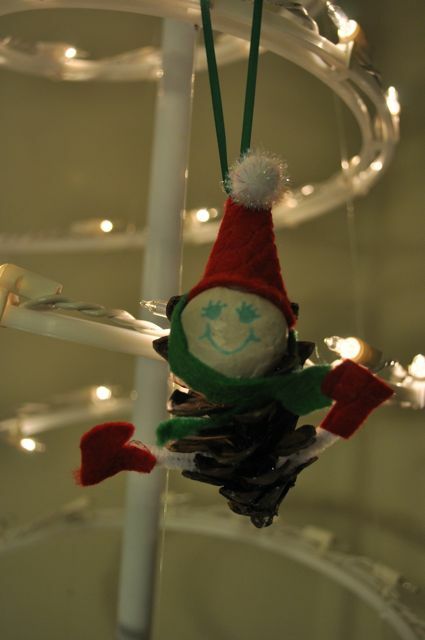 Glue head on top of pine cone. Again, much easier with flat-bottomed cones. Let dry. 9. Cut pipe cleaner, little boots, and little mittens. Then glue gun them together. 10. 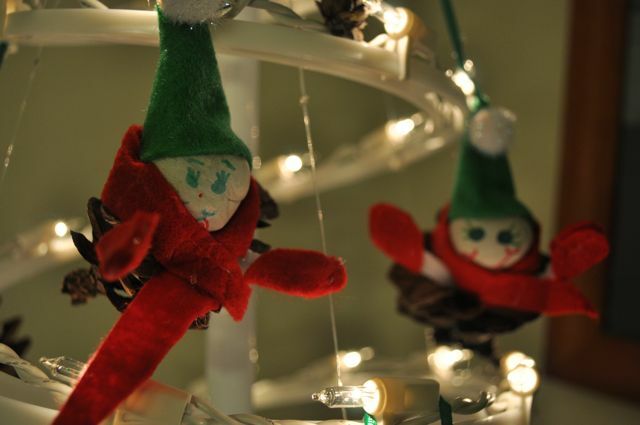 Glue gun onto elf. Cheese! 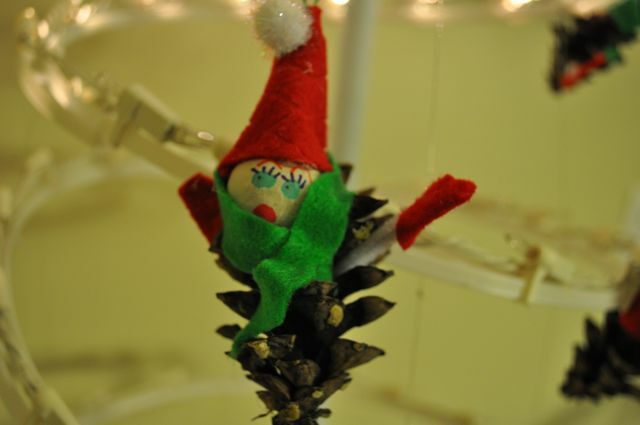 Because our pine cones were so long and skinny, our elves had lots of personality. 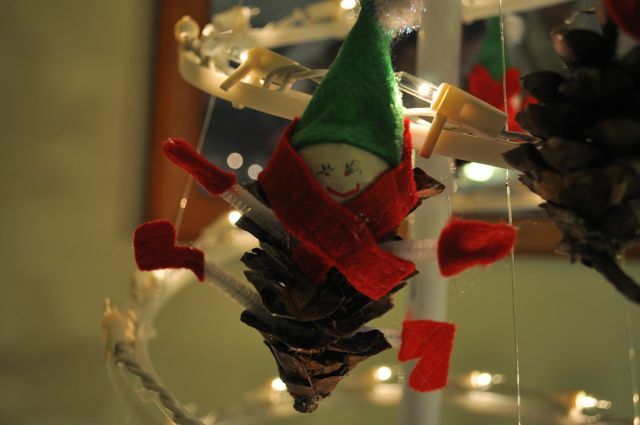 Some became superhero flying elves, some were babies wrapped in a pine cone cocoon, no arms or legs necessary. Brynne was so pleased and has already assigned them out to the perfect person she must give to. 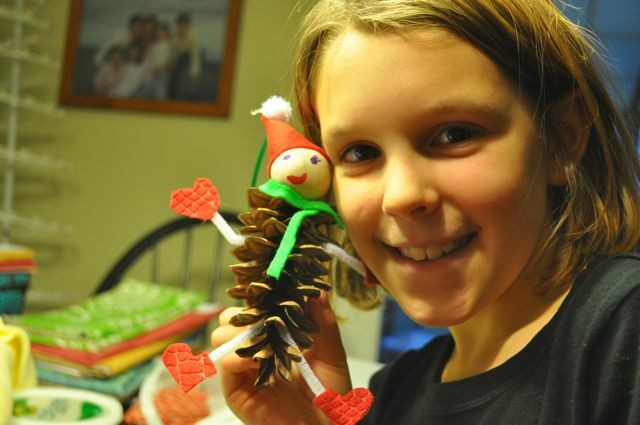 I like that she made her gifts, and I have to admit, crafts…are…fun. There, I said it. We shall now have a section on the blog called, Don’t Call Me Crafty, with Brynne tutorials. 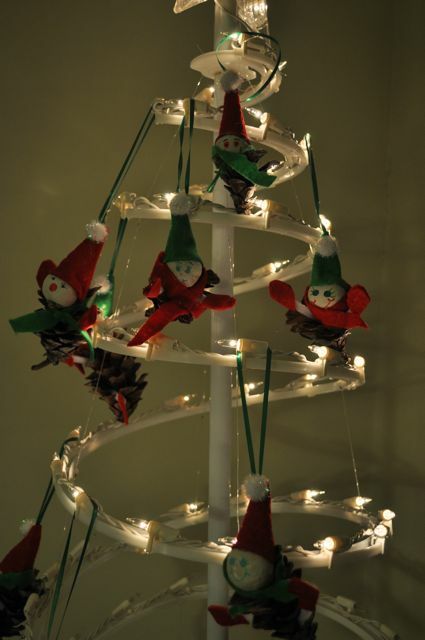 It’s supposed to be weekend recipe day, but as you can see, the elves won. 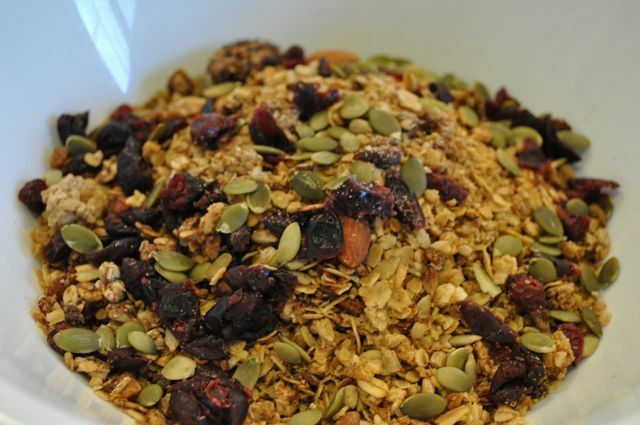 Never fear, if you’d like a twist on a recipe, here is a Runner’s Holiday Granola. I submitted it quickly last week and learned that it went in both the print and web edition of the Deseret News. The email said I should be very pleased, as space is incredibly limited in print editions, and only the highest degree of work is published. This made me laugh out loud thinking of the hours of time I have spent on some articles, but the granola recipe is the one that made it into real print. I think this just goes to show, that we must stop and embrace our destiny, whatever it may be. Mine is obviously to spread the good word of granola. 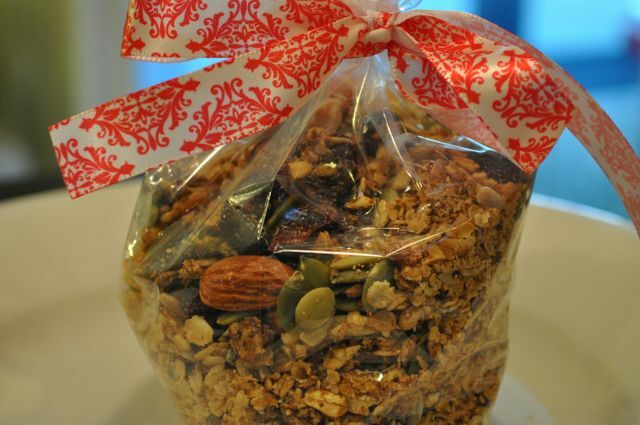 Runner’s Holiday Granola is the same recipe as Amy’s Runner’s Granola, except I added green pumpkin seeds to make it more Christmas-like. And of course when I eat it, I add some pomegranate! This entry was posted in article, Christmas, Craft, Don't Call Me Crafty, Recipes, runner food, Weekend Recipe on December 14, 2012 by maisymak. 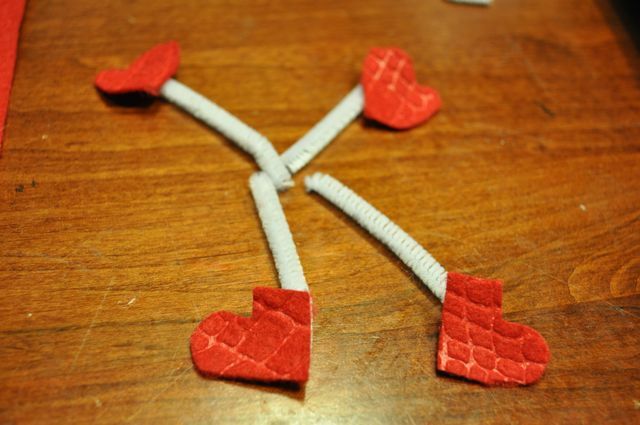 This entry was posted in Craft, Creativity, Nelson on April 24, 2012 by maisymak. 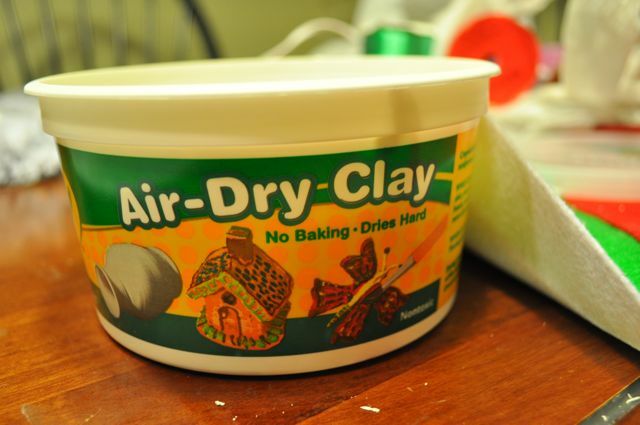 Over a year ago I said it here, right here on this blog: No More Playdoh! Ever! Ever. Again. I don’t even know how to spell it – playdoh? play dough? playdough? But then awhile back it rained and rained and rained. Paige was so bored and I was out of ideas. So I got on-line (it continues to amaze how we can learn about anything and everything on-line!) and found a simple recipe. It’s a stove top recipe. Paige was mighty confused. Since its banishment, playdoh was not even a household word. She didn’t know what it was! She thought I was making something to eat. Mmmm…let me smell it. Let me tasted it. Salty snack! Letting it cool was interesting. Ooooh…it’s so fun! so moldable, not sticky! And it’s all mine since all the kids are gone! We rolled and rolled and rolled. We cut it up into a million pieces. I’m not kidding when I say she did this for over an hour without stopping. Then Brynne came home and they played another hour! Just goes to show that sometimes its wise to put things away and wise to bring them back when more “appropriate.” As of now, it has not been mashed into bits into the carpet, floor, or trampoline. It has not dried out and been scattered across the house. The dog has not eaten it. It’s played with and put back into its proper sealed baggie. Are your kids ready again? Are you? I love this Play-Dough Recipe because it’s super quick to make and provides hours of fun with the kids. 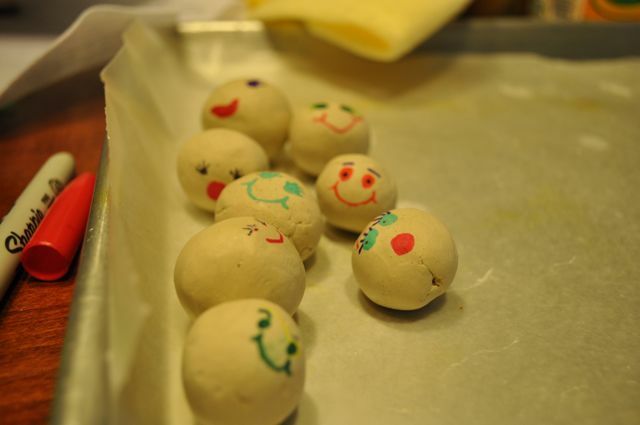 I used to make a batch of this play-dough once a month in the classroom. I always chaged up the colors to match the season. Although 20 little hands stayed busy shaping and molding, the play-dough never dried out! Had enough of play-dough? TryBread and Glue Clay, or Gooey Goop. 1. Mix ALL of the ingredients in a large saucepan. 2. Cook over medium low heat, stirring intermittently, until the dough comes away from the edges of the pan and becomes thick so it is difficult to move the spoon. Remove from heat. 3. Let play-dough cool in the pan until it can be handled. 4. 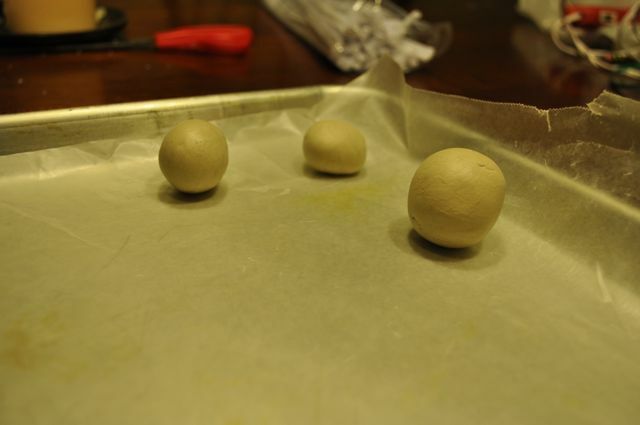 Turn play-dough out on counter or on wax paper and knead 3 – 4 times. 5.Play! Store in an air tight container. 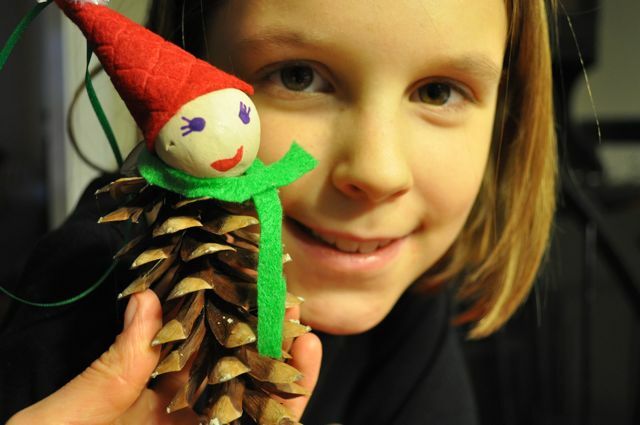 This entry was posted in Craft, home, home project, Paige on November 8, 2010 by maisymak. Anyway, a craft I actually did was this leaf garland. I got the idea from another blogging mama. The best part was taking a leaf walk with my kids. They had so much fun finding the “prettiest” leaf. Instead of dipping the leaf in wax, I ironed them in-between waxed paper. I’ve heard of people preserving leaves this way, but this was my first attempt. Ta-Da! It actually works! The heat melts the wax onto the leaf. How amazing. I found some clear string at Wal-mart and actually glue-gunned the leaves to the string. Ta-Da! That worked too. Then I taped it up on the corners of the window. Wow. I did a craft. And it was fun and probably only took about an hour. It makes me happy, every time I walk into my orange kitchen. This entry was posted in Craft, Fall, home on October 25, 2010 by maisymak.